Rue Saint Paul is the oldest street in Montreal. 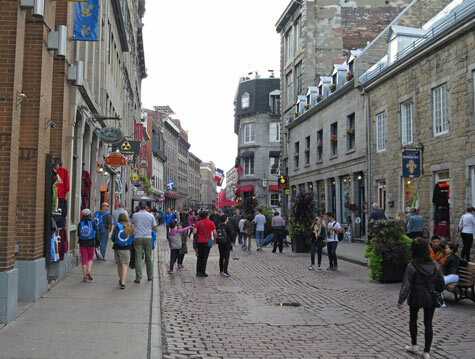 The picturesque cobblestone street, historic buildings and interesting shops attract many visitors. A number of Montreal's famous landmarks are located along Rue Saint Paul. They include the Bonsecours Market and Notre-Dame-de-Bon-Secours Chapel. Rue Saint Paul was named after Paul de Chomedey de Maisonneuve, a military leader and the founder of Montreal. Maisonneuve built his home along the street in 1652.